Olivier Giroud struck the winner as Didier Deschamps' world champions crowned their homecoming with three points at Stade de France. Les Bleus started with a swagger and the irrepressible Kylian Mbappé turned in Blaise Matuidi's cross to give them the lead. The Oranje threatened to spoil the party when Ryan Babel levelled, but Giroud's expert volley ensured the celebrations would not fall flat. Andriy Yarmolenko's 80th-minute penalty proved sufficient as Ukraine made it two wins from two. A game of few chances seemed destined to finish goalless until the introduction of Viktor Tsygankov with 12 minutes left. The Dynamo Kyiv schemer was felled by Milan Škriniar and Yarmolenko's spot kick had just enough power to beat Martin Dúbravka. Christian Eriksen scored both goals as Denmark made a winning start to their UEFA Nations League campaign. The Tottenham midfielder, who now has 15 goals in his last 18 internationals, clinically drove in a first-half opener before dispatching a penalty after the break following Ethan Ampadu's handball. Radoslav Vasilev headed in to give Bulgaria their second UEFA Nations League victory in four days, the substitute nodding inside the far post from Strahil Popov's cross. Norway had dominated until that point but ended the game with ten men following Håvard Nordtveit's late dismissal. 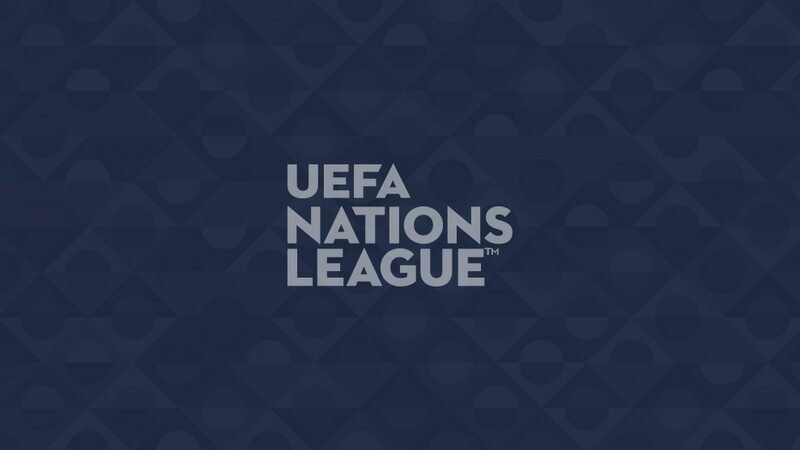 Petar Stojanović's late own goal handed Cyprus their first UEFA Nations League victory as the islanders battled back to prevail. Robert Berić headed Slovenia in front after the restart, but Pieros Sotiriou levelled before Stojanović nodded into his own net from a free-kick. Tornike Okriashvili's late spot kick ensured another disappointing evening for Latvia, four days after their home draw with Andorra. The visitors battled gamely amid mounting pressure until Okriashvili's emphatic finish made it two wins from two for Georgia. FYR Macedonia took a firm grip on Group D4 as Ezgjan Alioski's early penalty set the hosts on course for a second win in four days. A second-half tap-in from Goran Pandev, 35, all but sealed it before Armenia rallied, Gevorg Ghazaryan striking the woodwork late on. Dennis Salanovic claimed a goal and an assist as Liechtenstein proved too strong in Vaduz. The hosts had an early scare when Anthony Hernandez's excellent lob came back off the bar, but Salanovic's fine solo effort gave them the lead at the break. Sandro Wieser's second-half header sealed the points.